“Our Youth Empowerment Programs change lives. Teenagers challenge their bodies, minds, and world views while setting a course for their futures aboard our beloved boat” said Maija Niemisto, Education Director at Clearwater. Young Men at the Helm will take place on August 7-9th and Young Women at the Helm on August 21-23rd. Both programs will kick off in Beacon and finish with a small ceremony at the dock in Beacon on the final day of both programs. The first Young Women at the Helm took place in 2001. 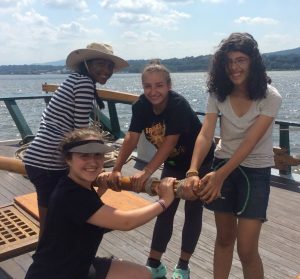 The program was designed to encourage young women from the Hudson Valley to get engaged in sailing and to see themselves as active youth leaders. Participants sample experiential activities involving ecology and pollution, sailing and navigation. The two nights of the program are spent ashore camping and meeting with female guest speakers from varied professions: politicians, doctors, environmentalists, scientists, historians and sea captains. At the end of the program, each group presents what they have learned to their peers. Many of our participants have gone on to work on the boat as volunteers, apprentices, and crewmembers. Young Men at the Helm started in 2009. 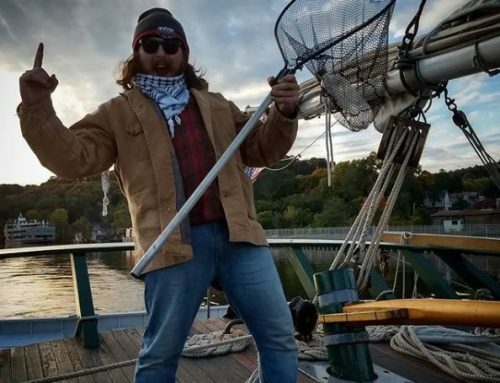 Since its inception, many participants have gone on to work on board the Clearwater, as well as succeed in environmental and maritime careers. The hard work of learning and living as a crew provides the young men as an opportunity to learn more about thriving, in a small community and overcoming challenges. 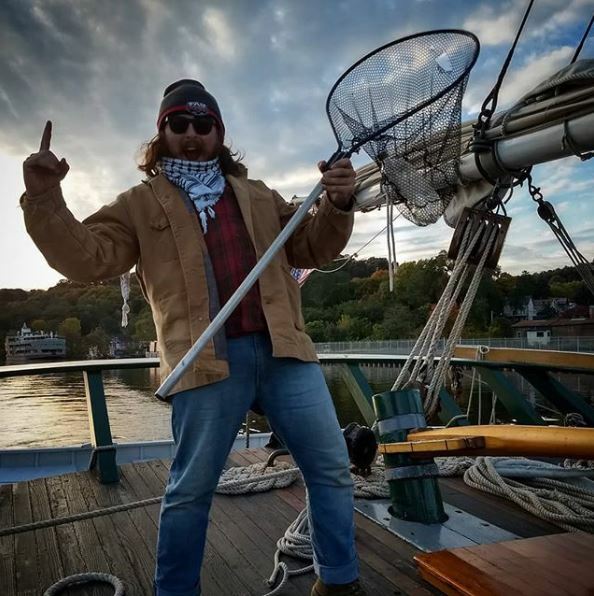 During the sailing season Clearwater serves the Hudson River with unique education programs where the focus is experiential. Students come aboard and learn about Hudson River ecology, history and navigation. The sloop is also available for private charters and public sails.